This article is reposted with the author’s permission from Democratic Audit. Drawing on their recent research Nasar Meer and Tariq Modood consider whether the British or American social compact is conducive to the incorporation of Muslims, and find that while the US may be more of a secular state, the UK is a more secular society and with a more secularist political culture. They argue that both can offer meaningful routes to not only political participation, but also meaningful incorporation of Muslim minorities. Regardless of whether Donald Trump wins the Republican presidential nomination, his rhetoric on Muslims has enthralled American political discourse. Meanwhile on this side of the Atlantic, Trump’s proposal to ban Muslims from entering the US triggered a petition, signed by over 570,000 people, seeking in turn to ban Trump from Britain. While Islamophobia is certainly not absent from British political discourse, the Trump phenomena and reactions to it across both sides of the Atlantic raises an interesting question as to the comparative status of Muslims and Islam in the public square in the US and Britain. On first inspection the contrast between the two countries is stark and, on paper at least, conditions are possibly less favourable for Muslims Britain. After all, the First Amendment of the US Constitution erects a ‘Jeffersonian’ wall of separation between Church and State, requiring that Congress ‘shall make no law respecting an establishment of religion, or prohibiting the free exercise thereof’. On this relatively slender clause has come to rest a great deal of legal and political architecture that ensures freedom of all religion. In the UK by contrast, the Established Church reflects the continuing Christian dominance in the identity of England, in spite of the consistent challenges to its superior status by other Christian denominations (in Scotland the national church is Presbyterian, and was disestablished in 1921). In a recent study published in Social Compass, we explore the contemporary implications of these settlements and consider which is more dynamic and conducive to the incorporation of American and British Muslims, respectively. The findings are interesting in highlighting that British Establishment has been no less successful in this incorporation than the US. This is the case despite there being no effort to disestablish the Church of England, even though many secularists argue that the constitutional status of the Church makes it more difficult for Muslims to achieve the kind of integration into the nation that their co-religionists are achieving in the United States. We show there is no evidence that the Anglican establishment has actually alienated British Muslims, who include many vocal political groups which between them have made numerous critiques of socio-economic deprivation, religious discrimination, incitement to religious hatred, various foreign policies, anti-terrorist policies and so on. Indeed in both countries we observe that Muslims have and continue to be subject to significant racialisation in political discourse and often in security-led public policy. Yet despite this, there is no record of any criticism by a Muslim group in relation to the religious establishment. Of course the Muslims in the US and Britain can have quite diverging histories and experiences of socialisation. Both countries include some of the most heterogeneous Muslim communities at any time or place, but one striking and often overlooked feature of American Muslims is not only that Islam is the second-largest expression of Black religion in the United States, but that the US is relatively unique in having its largest single group of its Muslims consist of indigenous converts. There is of course an important genealogy of a much longer presence of Islam in the Americas that was carried with Atlantic slavery, and which has largely been lost. In Britain Islam has been mainly carried through post-colonial and economic migration and settlement, and is the most populous faith after Christianity. A small majority of all of Britain’s Muslims were born in the UK. As the study shows, in both cases the place of Islam in the public square is important in understanding national identities, because in each case religious repertoires have translated into registers of national identity, and back again. This is not unique to Islam as there has long been a close connection between religion and nationhood, even though this is under-recognised. The variety of territorially-anchored Protestant Churches in post-reformation Europe illustrates this relationship, and even where organised religions have not achieved the ‘established’ status of the Anglican or Lutheran Churches, or have been subject to Church–State separation, this has not resulted in God–State separation. This partly explains why political theorist Ernest Barker insisted that ‘nations [have] long dreamt for their national unity in some common fund of religious ideas’. The historian Linda Colley too characterised an earlier Britain as ‘a protestant Israel’, and the political theorist Geoff Levey reminds us that despite its wall of separation, the US has always remained ‘One Nation Under God’. Going further, in his Chosen people: Anglo-American myths and reality, Longley put it well in insisting that ‘we are never going to reach the bottom of issues of national identity until we delve into the religious dimension … Religion is a weightier ingredient in these national stories than most modern English people or Americans would expect’ . So where does this leave us? Taken together the implications of our analyses are significant for theories of religious pluralism. It is clear that there is a current movement towards a synthesis between religious and national identities by Muslims themselves, and that this synthesis is facilitated by creative public spheres and dynamic civil societies that have historically incorporated other religious minorities in both the US and Britain. While the US may be more of a secular State than Britain, the latter is more of a secular society and has a much more secularist political culture. As a consequence we might say that there are two quite different social compacts at work: in the British case the ‘deal’ is that the religious majority can have State recognition at the highest level, but it must exercise self-effacement in relation to the democratic process, if not public culture as well. The ‘deal’ in the US is that if all Churches can agree to allow a certain limited area of public life as ‘religiously neutral’ and ‘beyond religion’, the rest of public life is an open field for religion. In the US, all religious groups are free to lead the nation, to seek to make the nation in their own image – as long as it is not through establishment. In both cases an anxious, and too often, a hostile public discourse against Muslim predominates. Yet, while both nations differ dramatically in the normative role religion plays in their political cultures, we argue that both can offer meaningful routes to not only political participation, but also meaningful incorporation of their respective Muslim minorities. Note: this article is based on Nasar Meer and Tariq Modood’s 2016 article ‘Religious pluralism in United States and Britain: its implications for Muslims and nationhood,Social Compass. It represents the views of the authors and not those of Democratic Audit UK or the LSE. Please read our comments policy before posting. 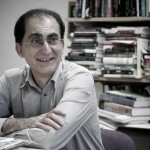 Nasar Meer is Professor of Comparative Citizenship and Social Policy at the University of Strathclyde. This entry was posted in Social change and diversity and tagged democracy, Donald Trump, integration, islamophobia, multiculturalism, Muslims, politics, religion by policybristol. Bookmark the permalink.